At Freedom Dental we are passionate about being innovative and using the most efficient methods to treat you. This requires us to stay updated on technological developments in the market and to integrate what we can, with our offering. We believe that investing in equipment and technology is investing in a healthier and better smile for you. These technological advancements help us provide accurate results which may be more convenient to you. 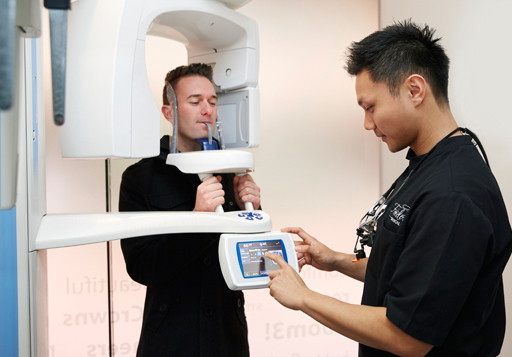 We are proud to be one of the first dental practices in Melbourne to introduce the iTero Digital impression system to dentistry in Australia. The iTero provides exceptional quality digital impressions of your mouth. We view this as the comfortable way to get your dental impressions.We are also one of the first dental practice in Melbourne to use our iTero Digital Impression System for Invisalign treatments for our patients. We have found that iTero enables us to reduce margins of error and make real-time adjustments to make your experience smooth and comfortable. We have invested in the latest 3D x-ray technology with gives a 3D picture of your face and jaw which allows us to plan and perform complex operations far more effectively. Take wisdom teeth for example; using the 3D x-ray machine will allow us to remove the tooth with a greatly reduced chance of harm to the surrounding nerves.Conventional two-dimensional x-rays provide an image that is viewed from only two angles. This means that a problem or irregularity can be hidden by other teeth or the jaw bone. Our system allows a three-dimensional image viewed from many angles producing a superior quality image with the lowest dose of radiation to you. Best of all it is all conducted within our surgery, providing you with the convenience of getting it done instantly and not having to go to another location. 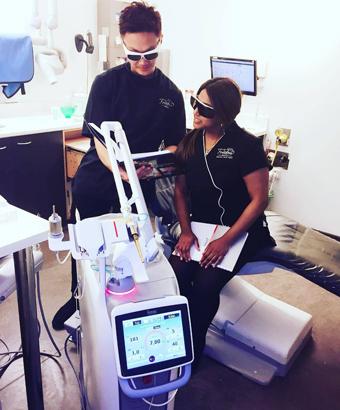 As dental perfectionists and forward thinking professionals, we are excited to announce the upgrade of your dental experience with the addition of our laser dental system. Dr Boon and Dr Tina are not only wearing super cool glasses but they are thrilled to show off our latest technology to you. 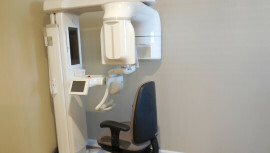 Dental medicine has entered a new area and we have come to a turning point in laser dentistry. We are proud to present the highest technology to meet our patients needs and desires in modern dentistry. So what does this mean for you? Without too much tech talk, we can explain the many advantages at your next appointment and determine if you are a suitable candidate. In short, the @fotonalasers_official laser system is a precise, minimally invasive method that boasts greater comfort for you, our patient! Freedom Dental strives to offer the latest technology, provide exceptional service and care in a beautiful dental spa environment. When quality matters, call Freedom Dental.